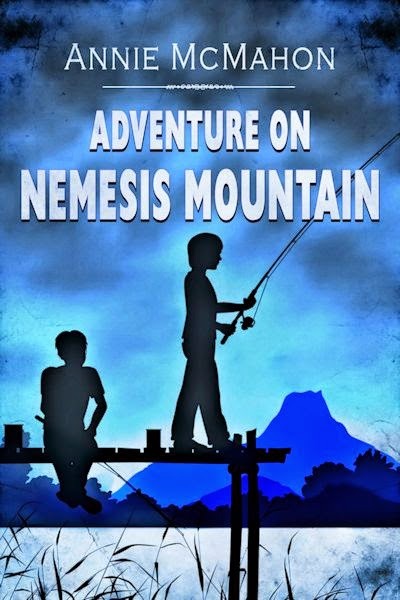 Annie McMahon has been a great supporter of this blog and of middle grade writers in general, so I am thrilled to introduce her debut: Adventure on Nemesis Mountain. Emilio would rather eat a slimy worm than miss the fifth grade field trip. Nemesis Mountain must be full of rare leaf specimens and bugs for his collection. Besides, he needs a break from the playground and Hans’s nonstop teasing. His excitement is squashed when he gets lost in the woods with his worst enemy.Alone in the forest, the two boys battle to survive the harsh wilderness, facing challenges that will change their lives forever. Wow, I have so many, it's hard to choose! I'm always impressed by indie authors publishing awesome books. There are so many self-published authors out there, and once in a while I come across one that should have been traditionally published, to my opinion, because it's just so good: TRUTH TELLER, by Kurt Chambers, VIRGIL CREECH TAKES A SWEEP AT REDEMPTION, by Mark Myers, CHILDREN OF MIDIAN, by Jay Eckert, GREEDY JACK WALLACE, by Adam C. Veile, and THE KING'S RANSOM, by Cheryl Carpinello, to name a few. Those are authors who believed in their work enough to never gave up, even after probably being rejected by agents and traditional publishers numerous times. They put a lot of time and effort in perfecting their books before releasing them to the world, and it shows. I love being one of the first to read a future bestseller. 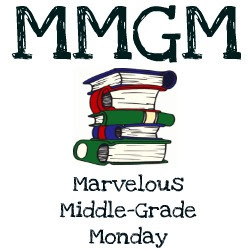 A whole pile of MG books from the library! I just finished reading WATERSHIP DOWN, by Richard Adams. Next on my list: SUGAR AND ICE, by Kate Messner. I also have about ten indie books on my kindle, waiting to be reviewed. I'll get to them after my blog tour is over and things settle down. I think my favorite is the snake scene, when Emilio finally gets a chance to get back at Hans for all the teasing. I really enjoyed writing it. Emilio is always picked on by Hans at school, but now in nature, his element, he feels more secure and bold than ever. Refreshing! French toast with maple syrup and Canadian bacon. I grew up in Canada, so anything with maple syrup tastes like heaven to me. I would go on a world tour and visit all my friends from my writer's group who helped me so much with this novel. It's an online group, so we never got to meet each other in person, being spread out all over the world: Australia, England, Egypt, Canada, New Zealand, and many states in the US. How fun would that be!! About the Author: Annie McMahon is originally from Canada but now lives in New Jersey. She has a degree in computer programming, but her life took an unexpected turn and she ended up writing stories and articles instead ofcomputer programs. Now she uses every spare minute to write children’s novels and to help other writers succeed. Her three children have been the inspiration behind many of her short stories, over forty in total. Her flash fiction story, Paradoxical Neighbor, has been published by Nelson Education in a book for 10th graders, Nelson Literacy 10. Annie has a certificate in copyediting, moderates a critique group for children's writers, and is the editor at UK Children's Publishing. Annie is giving away copies of her novel on RAFFLECOPTOR. Good luck! How can it be October already?! Oh well, now that we have begun to be a chillin' in Oregon, it's good to gather books about us for the long winter ahead. 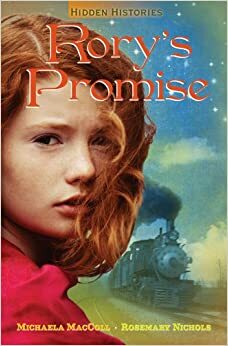 As I mentioned in my last post, I really enjoyed RORY'S PROMISE, and the publisher offered to send a copy to the winner of my blog tour. Wow! Natalie is one of my very top favorite bloggers, part of the super Literary Rambles team. Natalie, the Don is raising a toast in your honor. We'll be in touch soon!